The discussion of spirituality and Reiki is a real gem among all your other useful offerings, a distillation of all you have learned and become through Reiki practice. I had a rare advantage when I first experienced Reiki practice in 1986; I had been a student of yoga and meditation for nearly 25 years, the result of a lifelong passion for spirituality. Although Reiki was not presented to me as a spiritual practice, my first treatment and my previous experience helped me recognize that Reiki is a spiritual practice. Subsequent discovery of the teachings of Reiki founder Mikao Usui bore this out. Many people, including most Reiki practitioners, stumble over the words spiritual and spirituality. Many are convinced you need to avoid those words when speaking in public or to medical professionals. That avoidance is unfortunate and self-defeating, because discovering your spiritual self is needed to make sense of today’s world, and spiritual support is the core of what Reiki practice offers. If you are uncomfortable acknowledging your spiritual self or the spiritual aspects of Reiki practice, the What Is Spirituality audio recording is for you. How you can speak about spirituality without sounding Reiki-flakey. Are you ready to appreciate the invaluable role spirituality plays in your happiness and health? 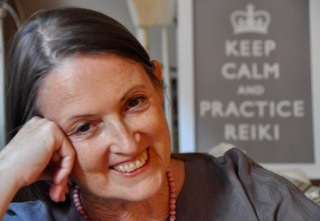 Do you want to speak about Reiki and spirituality with clarity and conviction?